Unlock a new chapter in life with the understated elegance and attention to detail of this Sterling Silver & 18kt Yellow Gold Vermeil 21st Birthday Key charm, featuring a beautiful gold vermeil heart engraved with 21 - the head of this iconic, collectible set of milestone birthday key charms, which begins at age 16. This silver 21st birthday charm is a beautiful keepsake that can be worn every day. 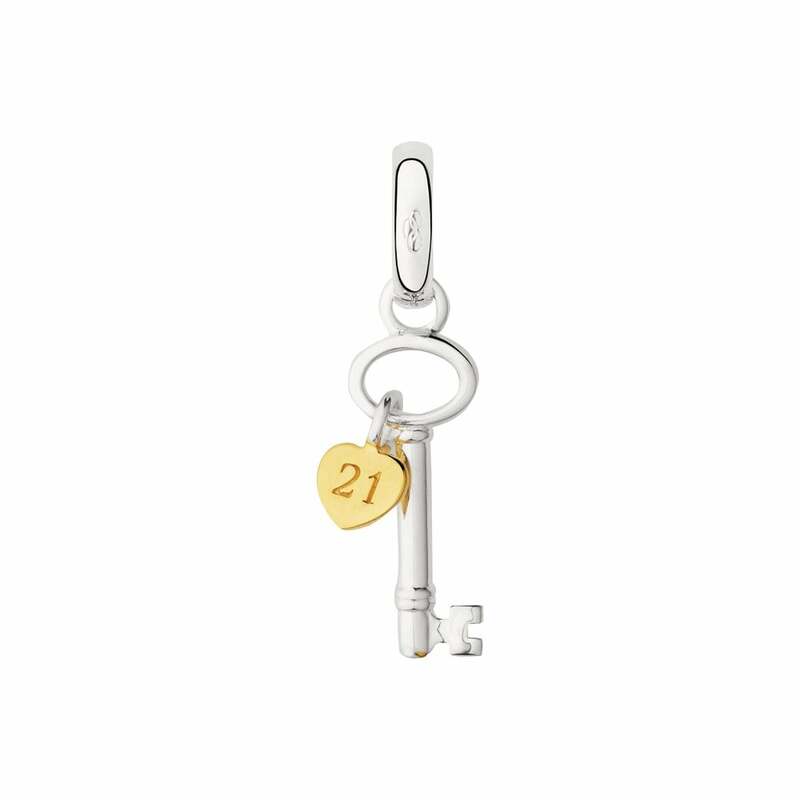 Showing our 2 Links of London 21st Birthday Key With Gold Heart Charm reviews with an average rating of Good. Would you like to write a review? Very misleading. Bought as a keyring, infact it was a charm. Appeared much bigger in size on website. We apologise if it wasn't made clear enough, the description does state this is a charm, however I have edited the product title to state charm so it's extra clear. We are more than happy to refund your order if you wish to send it back to us.